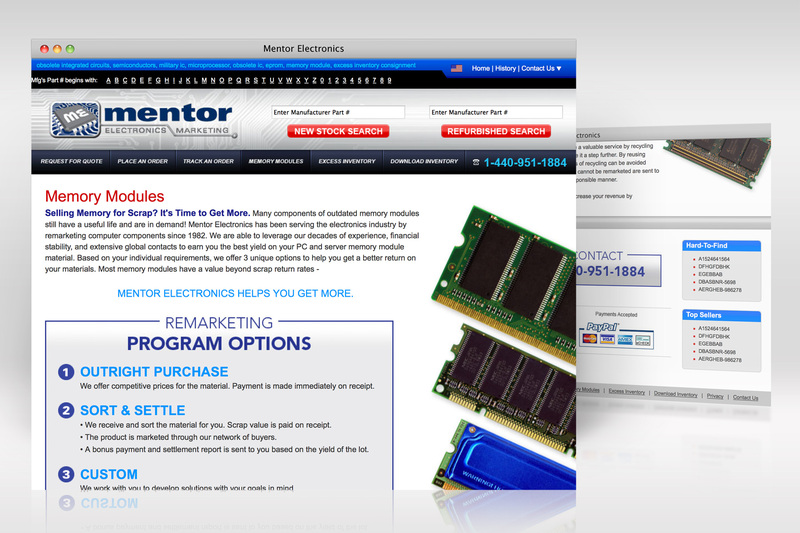 A redesign of the Mentor Electronics website was the next step in their new brand launch. 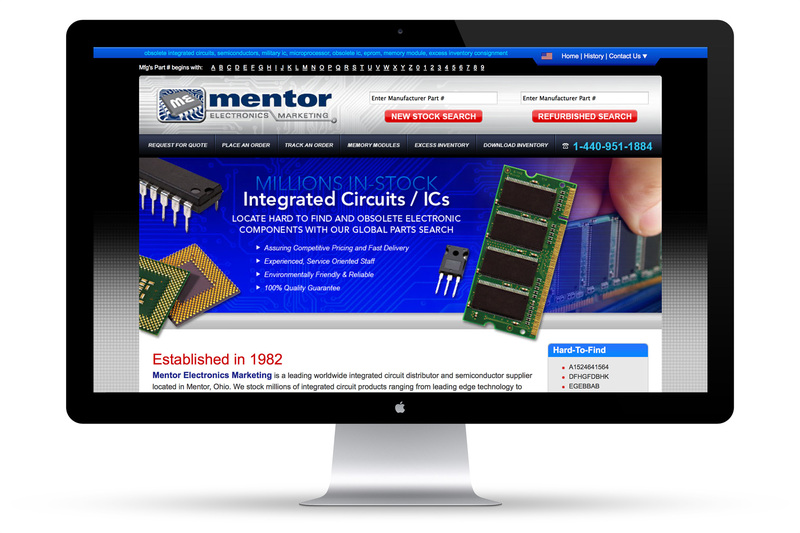 In addition to integrating the newly developed visual design, the client wanted a contemporary feel that reinforced their expertise with integrated circuits and semiconductors. They also wanted to market new services to their potential and current clients. It was important to integrate an intuitive navigation into this web design that made it easy for visitors to access the inventory database and place orders without sacrificing a clean, modern and professional visual style.